Not much has been happening in recent weeks in the tropics (with the notable exception of the extreme western Pacific), so allow me to try generate some fake excitement by highlighting one of our four featured storms – KULAB. Why Kulab? Well, I don’t know. It didn’t do anything extraordinary, unless you were a fish or an unfortunate fisherman. But it was there. And even though Kulab wasn’t a typhoon, didn’t make landfall, and has essentially been forgotten in the annals of history, we here at Cyclone Center want to see it analyzed because that is what we do. We do not discriminate on the basis of color, size, location, or weirdness of name. 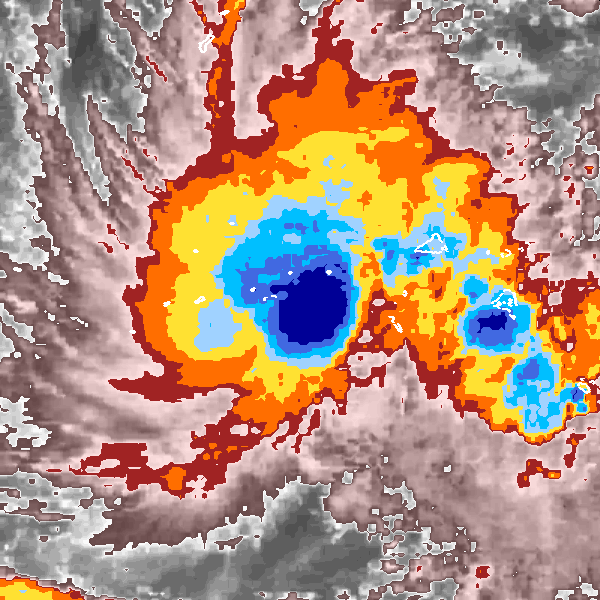 Every tropical cyclone has something to contribute, so we’re going to push for the completion of Kulab, because quite frankly nothing else is going on right now! So usually when we have a featured storm, we can tell you a little bit about its name and history. I have no idea what a Kulab is. A quick check of Wikipedia turns up several leads. Apparently Kulab is a village in west central Iran with a population of 61 (!). I wonder if any of those villagers are classifying on Cyclone Center – can you imagine them logging on and seeing their village on the front page? What’s next, Typhoon Tehran? But wait, there is yet another Iranian village of Kulab in the eastern part of the country – this one with a population of 92! Google also tells me that Kulab is the “new West Flemish campus of the University of Leuven, created from the integration of the academic programs of VIVES North (formerly KHBO) and KU Leuven“. That would be in Belgium. I’m pretty sure we have some Belgian classifiers – maybe someone from Kulab? I am sure that has gotten you very excited to classify Kulab. But just in case you still need some convincing, I give you kulab.org, the “Research Extension Page of Dr.K.Ulaganathan’s laboratory, Centre for Plant Molecular Biology, Osmania University, Hyderabad, Andhra Pradesh, INDIA. Basically, they really like plants there and study them a lot. I’m certain that if you visited, they would have posters of Tropical Cyclone Kulab up all over the place. So let me conclude by making this plea. Sometimes in life you have to trudge through the mundane (Kulab) to get to the good stuff (about any other storm). Storms have feelings too. Kulab has been sitting out there for a few weeks now wondering if anyone will click on him (her?). Sure, he gets a couple here and there, but then you leave him for the more exciting times at Cafe Sonca and Nesat. So lets show Kulab some love and get him some clicks so we can respectfully retire him. Are you with me? Please classify me! I know I’m not as cute as the other ones, but I have some interesting features too!